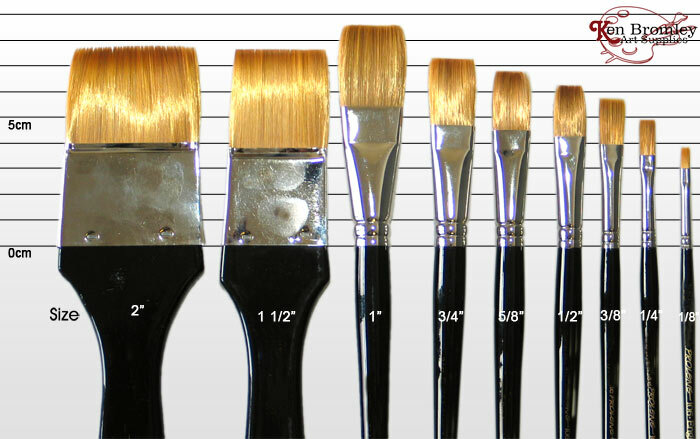 These flat brushes give firm, sharp lines for lettering and one stroke work. They possess great spring and colour carrying capacity. Seamless nickel ferrules. Black polished handle with gold tip. 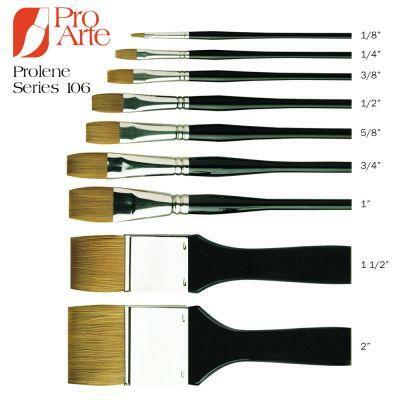 Soft and springy - Prolene Series 106 Flat One Stroke Brush Size 3/4"
For the price, this is first class. - Prolene Series 106 Flat One Stroke Brush Size 1/4"